Champaign was popped, happy dancing was jigged, and random friends and workmates hugged to the point where uncomfortable side-eyes were given. 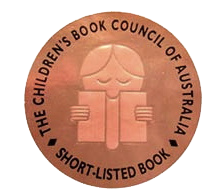 It’s that week in Oz children’s publishing, and The Incredible Adventures of Cinnamon Girl has made the shortlist for the Children’s Book Council of Australia (CBCA) Book of the Year 2015, Older Readers! In a year of so many extraordinary, diverse and wickedly good books, I’m thrilled and humbled that Cinnamon Girl was selected for the shortlist. Now to run to the bookstore for yet more fab books to add to my must-read pile (the one that’s about to topple off my side table and crush me in my sleep. Can’t think of a better way to go, really). A giant thank you again to the wonderful CBCA judges, and huge congratulations to all the notable and shortlisted authors in all categories. Australian children’s publishing is such an amazingly warm and inspiring community of folks, and I’m so incredibly lucky to be part of it. In a week that continues to be unreal, Life in Outer Space has been shortlisted for the Children’s Book Council of Australia (CBCA) Book of the Year 2014, Older Readers. In the children’s publishing departments where I have worked, there’s a bit of a tradition on shortlist day, of poring over the CBCA website while undertaking multiple refreshes as the announcements roll out. As an editor, it is always exciting to see a book you’ve been involved with being recognized; I can’t describe how cool, and wonderfully overwhelming it is to see my book up there too.